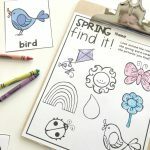 A fun game of hide-n-seek is sure to brighten up your classroom writing center this winter when things are dreary and cold outside. This Winter Writing Center has a little hide-n-seek twist to it that your students are going to love! You’ll like it too because it’ll have your kids reading, coloring and having fun! 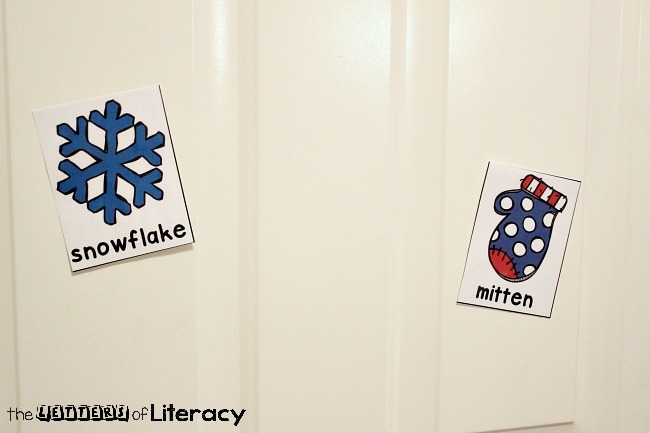 Let’s get those your little ones up and moving this winter with this fun “find it” literacy activity! I just love how the skill of coloring is an early writing skill. Did you know that? So next time your students are coloring, relax and have fun with it! Remember…they are building fine motor skills necessary for writing. 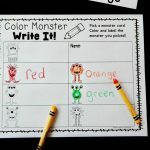 Hide-n-seek, coloring and encouraging movement is what this Winter Write It Writing Center is all about! Let’s get started with a few supplies! 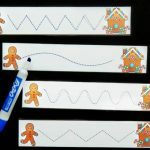 This activity is suitable for Pre-K and Kindergarten classrooms. 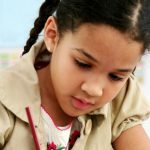 You can use this in your homeschool or traditional classroom as a reader’s workshop or writing center activity. 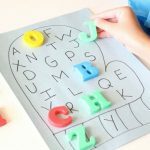 If you decide to make this a center activity, just remember to scatter the words around the classroom before school starts. 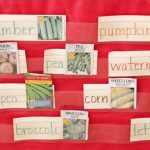 You can use either tape or velcro if you like to keep your write the room cards in similar locations throughout the year. 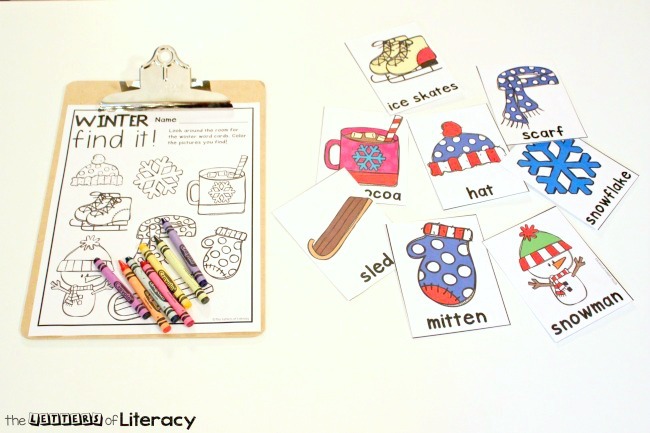 My favorite way to use this Winter Find It Activity is in pairs. 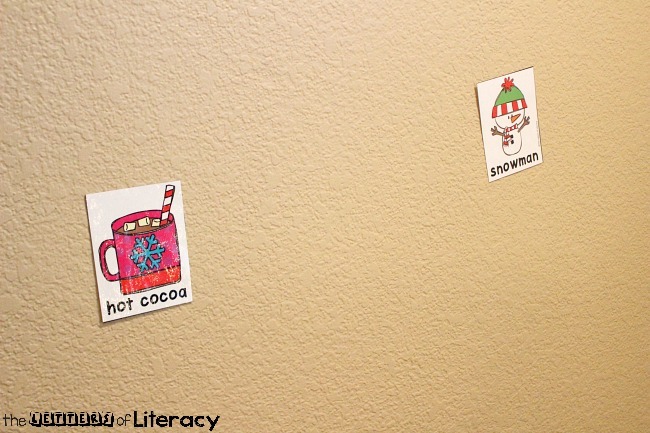 Once the winter vocabulary cards are printed and cut out partner #1 uses a small piece of tape to scatter the cards around the classroom by taping them to the walls, cabinets or shelves. Partner #2 should turn his/her back so they can’t see where partner #1 places the winter vocabulary cards. Partner #2 then uses the recording sheet and a clipboard to find the winter vocabulary cards scattered around the classroom. When partner #2 finds a vocab card he/she should read the word out loud, find it on their coloring page, and color the picture that matches the vocab card. Tip: For an extra challenge, children can write the word next to the picture when they find it and color it in! As partner #2 finds each vocabulary card, they hand it to partner #1 and he/she places them back in the writing center so that partner #2 has a chance to hide the vocab cards for partner #1. 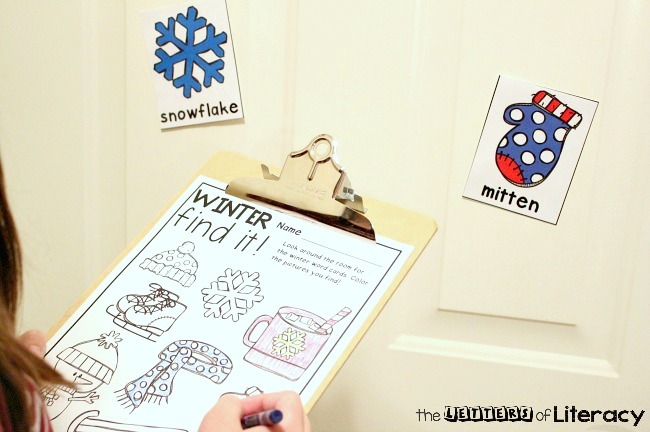 The activity continues until both partners have had a chance to hide the winter vocabulary cards and find them on the winter coloring printable. 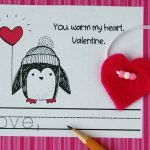 I hope these winter writing center printables bring some fun and joy to your classroom. Your students are going to really enjoy using them! 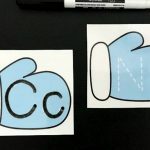 Ready for some winter-themed writing center fun? 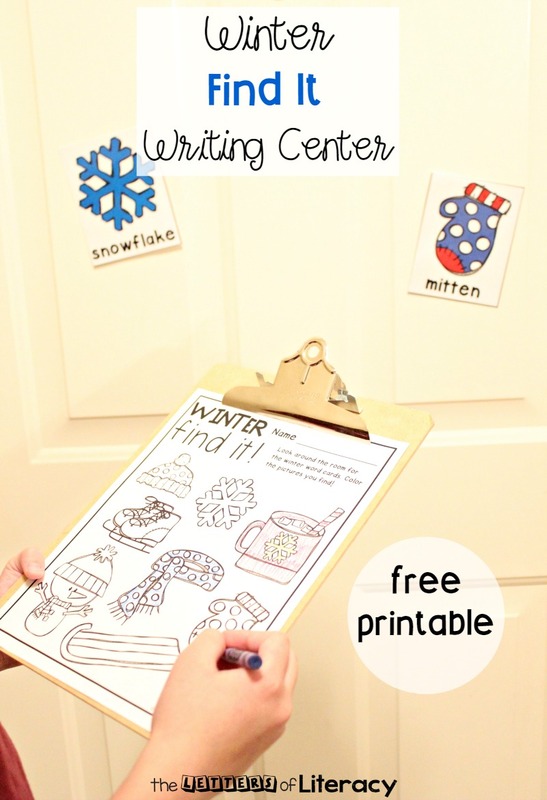 Grab your copy of the Winter Find It Writing Center Printables by clicking the blue button below. 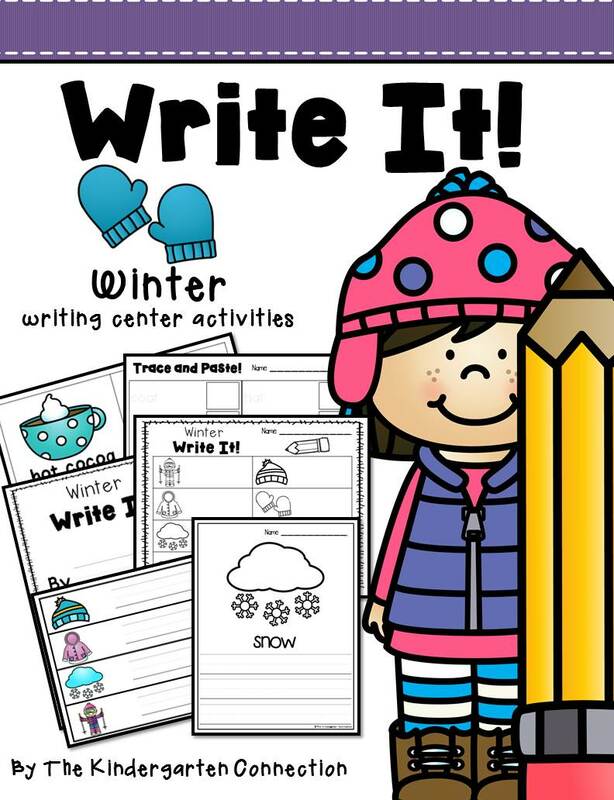 Then, have all of your winter writing centers prepped, and work on labeling, sentences, and more with our Winter Write It Pack!